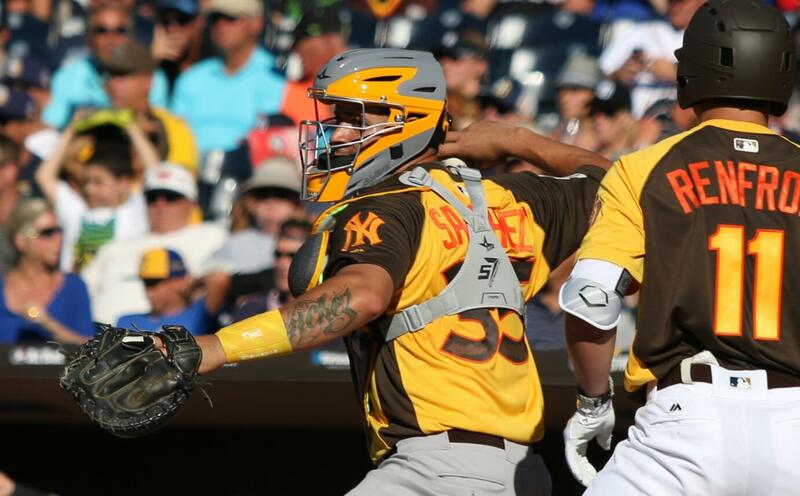 Gary Sanchez got a nice little custom hook-up from All-Star who he swears by behind the dish. 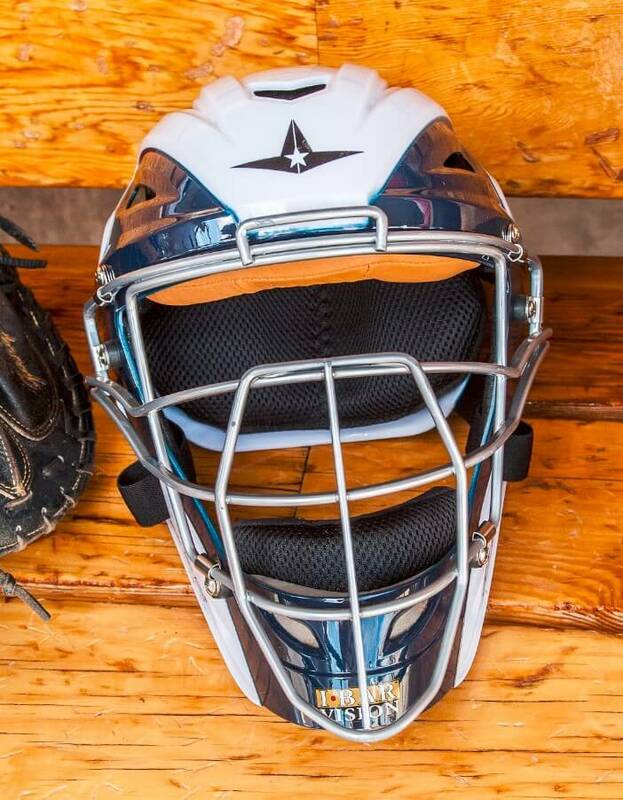 They did up a custom pinstriped MVP4000 for home games, and he sticks with the grey/navy for away games. Sanchez, as well as Yadi Molina, get a custom leather forehead pad installed. You can get the MVP4000 at the link. 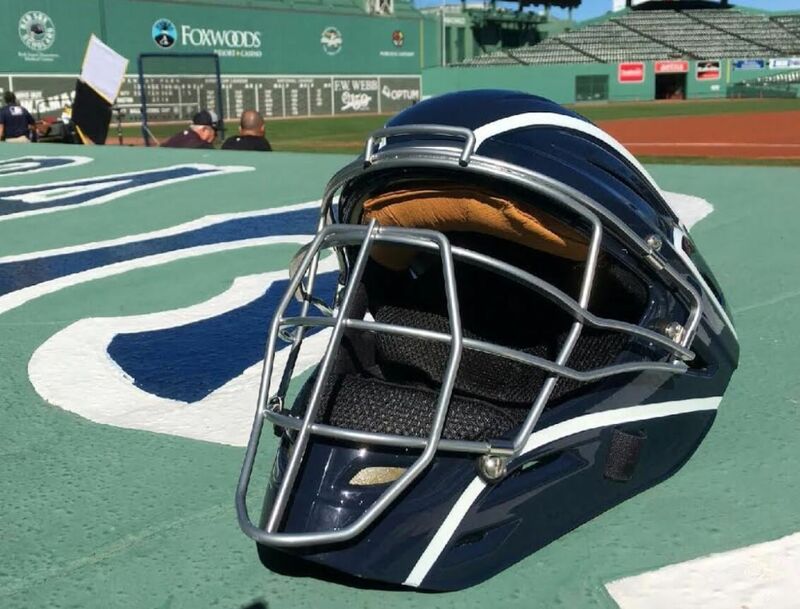 Categories: Gary Sanchez, Gear, New York Yankees, Catcher, Catcher's Gear, Face Mask.